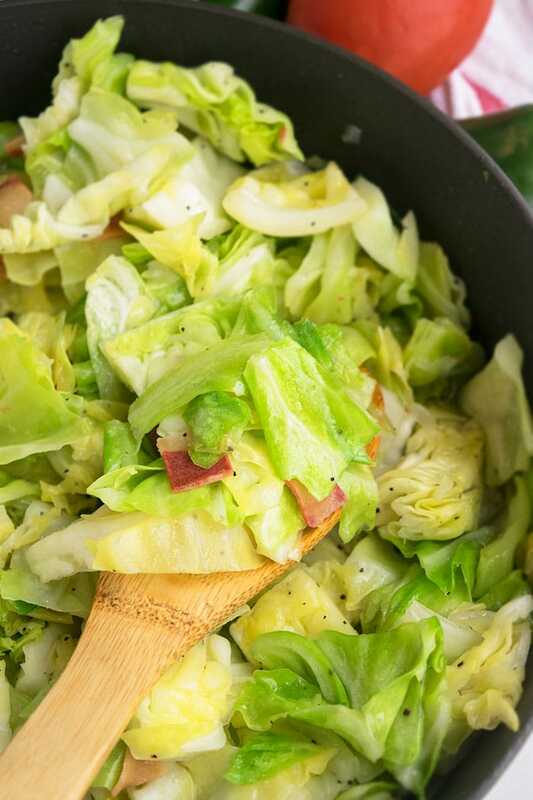 Quick and easy fried cabbage recipe with bacon, made with simple ingredients in one pot on stovetop. This 30 minute Southern side dish is popular on St.Patrick’s Day. 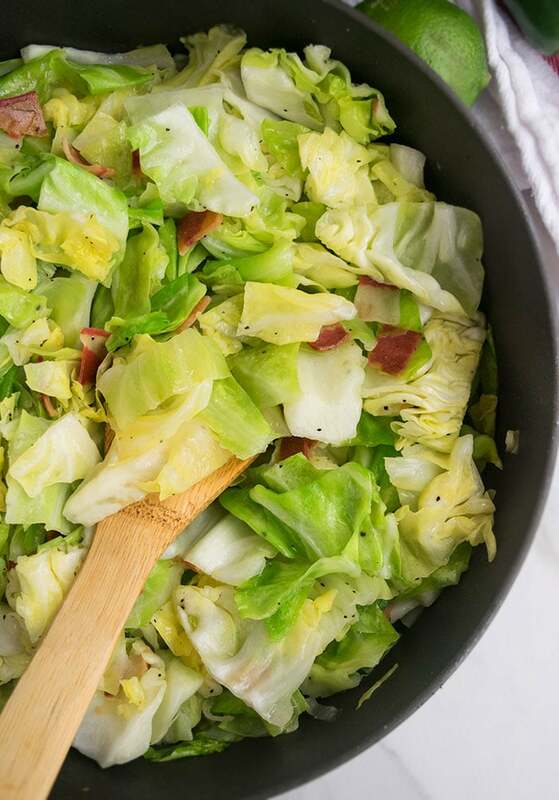 Since you guys loved my one pot bacon pasta, I think you would also love this one pot fried cabbage with bacon recipe too. 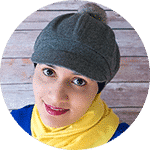 There are many variations of this recipe. Some people make it with potatoes. Other make it with chicken or bacon or sausages. There are also some people who make it without any meat, whatsoever. Also, some people prefer their cabbage to retain its firm texture but others like to pan-fry it for longer and make it softer. 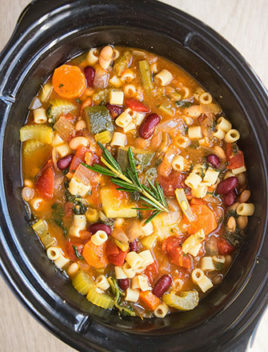 It’s quick, easy, ready in less than 30 minutes with minimal mess and requires just one pot/pan. Instead of bacon, cook 1 cup some small boneless chicken breast pieces and use that in this recipe. 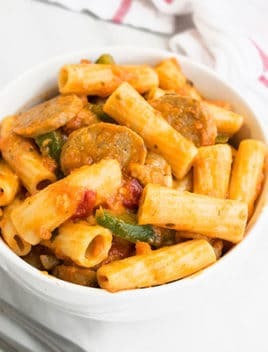 Instead of bacon, cook 1 cup sliced sausages and use that in this recipe. Stir fry small cubes of potatoes with some salt and pepper and mix that into the cabbage at the end. Omit the bacon and use 4-5 tbsp unsalted butter to counter the lack of bacon grease. How to make fried cabbage? Cook the bacon and keep it aside. In the same pot and the same bacon grease, add the cabbage and spices and cook until tender. Mix in the cooked bacon and you are done. 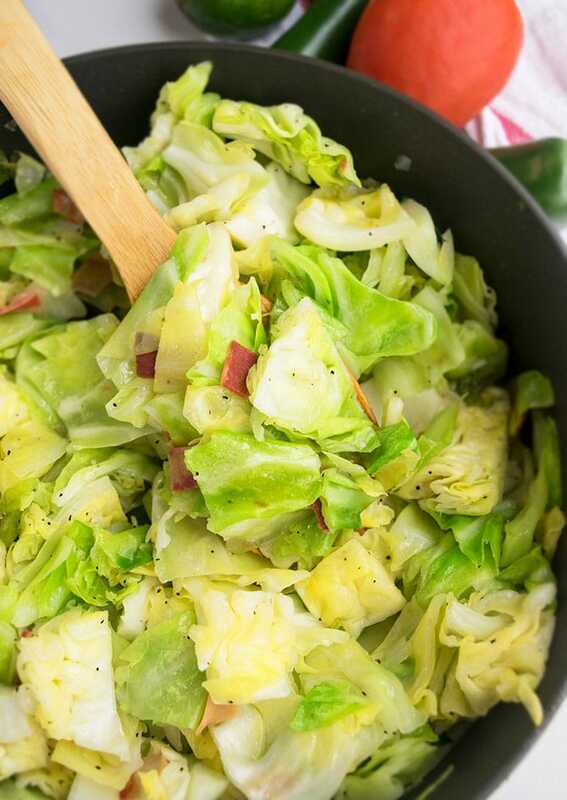 Fried cabbage is a side dish that is typically served on St.Patrick’s Day with corned beef. How do you pan fry cabbage on the stove? How to fry cabbage? The best method is “pan-frying” so that it does not become too greasy. Heat oil or butter butter in a large nonstick pan over medium high heat. Then, add shredded cabbage, salt, pepper. Saute for a few minutes until the cabbage is tender. If you like, you can mix in cooked bacon, chicken, sausage and you are done. Any type of bacon can be used in this recipe- regular, turkey or even vegan. If you are using turkey bacon or vegan bacon, just remember they are not very oily and additional oil must be added. Instead of bacon, sausage can be used as well. Use a non-stick pan to prevent sticking and burning. Be sure to finely chop your onions because no one likes big chunks of onions and they will also blend together much better with the cabbage. Don’t discard the bacon drippings! It adds so much flavor in this recipe. Don’t over-cook the cabbage because it will become too soft and limp. You want the cabbage to retain some of its firmness. Brown sugar is optional. It just adds a subtle sweetness. 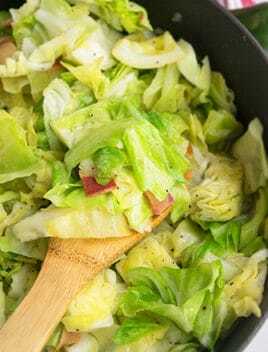 Quick and easy fried cabbage recipe with bacon, made with simple ingredients in one pot on stovetop. 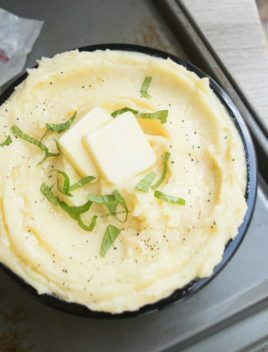 This 30 minute Irish side dish is very popular on St.Patrick's Day. Cook bacon in a nonstick pot/pan over medium high heat until crisp. Remove the bacon and place it on plate but do not discard the bacon grease and drippings! Add cabbage, brown sugar, salt, pepper, garlic powder, paprika and mix everything together. Cook for about 7 minutes or until cabbage is tender. Add bacon back into the pan and mix everything together. Bacon was definitely a nice touch, looks so tasty! 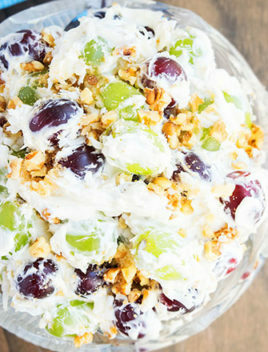 I’ve got to try this take on cabbage! I bet the bacon is an amazing touch! I think cabbage is such an under-used vegetable! It’s one of my favorites, I’ll definitely be trying this! I have never had fried cabbage! but now I’m craving it! This might be the only way to eat cabbage!